As always, we had a difficult time deciding on our grantees, given that we received many worthy applications for writing and translation projects during each round. But this round was particularly hard: we received a record high of 110 proposals, from across the world and in many languages, compared to the typical 30 to 40 applications. That’s good news in terms of what appears to be a growing commitment to autonomous, politically engaged writing and translating on antiauthoritarian themes as well as from anarchist(ic) perspectives. Sadly, the IAS could only fund four proposals based on our available funds—all the more reason we hope that you’ll consider becoming a monthly sustainer in order for the IAS to grant more awards the next time around (see below). Through historical analysis of the response to AIDS and an engagement with social anarchist theories, this project aims to develop an anarchist framework to address HIV and hepatitis C, focused on concepts of mutual aid and self-care. Activism on HIV and other diseases such as hepatitis C often centers on documenting the violent impacts of the state. This results in activists and community groups working to address state administrative violence, which exacerbates HIV and hepatitis C. But at the same time, a vast majority of community organizing around HIV and hepatitis C revolves around making claims on the state, including claims for human rights, funding, and entitlements of citizenship. Additionally, despite organizing initiatives for mutual aid, people living with HIV and hepatitis C rely on medications for survival—medications produced by massive multinational capitalist corporations. This project strives to reconceptualize and reconsider the paradoxical relationships that health responses have with the state, and that people living with HIV and hepatitis C have with corporations. The coauthors believe that applying social anarchist principles to the HIV and hepatitis C responses will put the actualization of health into the hands of the people most impacted by the diseases. Zoë is a longtime harm reduction and hepatitis c worker and activist. She has spent the last decade facilitating groups, fighting for access to treatment, and supporting people living with hepatitis C as well as active drug users living with hepatitis C and HIV co-infection. Zoë is a feminist, anticapitalist, and drug-user activist. When she’s not organizing or working, she hangs out within and contributes to the Toronto hard-core/punk scene. Alex has been involved with HIV responses following his HIV-positive diagnosis in 1998. Since then he has been involved in multiple activist and social change initiatives. Alex sits on the steering committee of the direct-action activist organization AIDS ACTION NOW! and is a board member of the Prisoners’ with HIV/AIDS Support Action Network. He is undertaking doctoral studies at Concordia University, examining the role of criminal law as a form of state regulation of people living with HIV in the settler colonial society of Canada. The project consists of the translation from English to Spanish, with an introductory study and notes, of “The Industrial Workers of the World in Chile”—the only comprehensive book written about the experience of the Industrial Workers of the World (IWW) in Chile a hundred years ago. Luis is a historian, and member of the Equipo Interdisciplinario de estudios estratégicos en movimientos sociales y Poder Popular (Interdisciplinary Team of Strategic Studies on Social Movements and Popular Power) at the Universidad de Chile. He is also a socialist libertarian activist involved in organizing processes in rural areas and the city. At the beginning of the new millennium, a dynamic and radical political movement began to emerge in Greece. The basic features of this movement are the insistence on a lack of hierarchical structures, idea of self-organization from below, active negation of legality, and conflict with the repressive mechanisms of the state. Self-organized places and occupations as well as open neighborhood assemblies became practices that spread not only in big cities but also small ones. The purpose of this project is to describe this movement, and formulate the manner in which the dominant institutions and informal mechanisms of social conservatism regrouped and came to the fore, especially in the last years of this period. Along with an examination of the political, social, and economic situation, which has now led Greek society into a deep crisis, this project will analyze the parameters that led to the rise of the Greek libertarian/anarchist movement along with specific examples. Another key objective is to look at the “civil-war-era type” polarization of society that has occurred in recent years—on the one side, toward the radical left end of the political spectrum (including the now-broadened libertarian/anarchist movement), and on the other side, toward the conservative end, focusing on those who are nostalgic for Nazism, the kingdom, and the dictatorship of the colonels. This project aims to offer both an interested Greek- and English-speaking public a portrait of modern Greek history, which in turn can be of interest to social movements around the world. The Eutopia Collective will draw on its significant personal experience of direct involvement in these movements and local struggles. The Eutopia Collective is composed of members who reside in different parts of Greece. Since 1999, it has published without interruption the movement journal Eutopia, and in the last three years has embarked on a wider publishing effort that includes books. The main purpose of the collective’s publishing effort is to contribute to the shaping of a modern libertarian social proposal in tandem with the emergence of self-organized communities of struggle, which are the ground of substantive experimentation with the details of such a proposal. A year ago, in Athens, along with a wider circle of its friends, the collective created the Eutopian Workshop, an area that houses a library, archive, workshop for the digitization of archival material, and space for events. China is both the United States’ largest trading partner and primary competitor for global hegemony, origin of the supply chains of most of the world’s largest retailers, home to the world’s largest working class, and site of an ongoing strike wave larger than anywhere else globally. As the world’s “factory floor” and site of the largest enclosure of peasant commons in history, China is also the world’s largest and most advanced laboratory for the innovation of new forms of organization along with struggles by workers, peasants, and their allies. China is simply without parallel in economic and political importance, and yet it is often either exoticized or ignored by anarchists and others on the radical Left, and misunderstood among the broader Western public and intellectual milieu. This project will contribute to filling this void. Understanding China’s working class, how it can express its power, and how others can join Chinese workers and peasants in solidarity all stand among the most urgent priorities of global movements for collective liberation. The project will focus on oral histories from Chinese workers as they themselves provide insight into the Chinese economy and its reorganization since Mao’s death. It will aim to develop an understanding of the dynamics of the class struggle in circumstances where formal organization and legal recognition are absent. Christopher is a recipient of the China Government Scholarship for Sino-US Cultural Communication and a candidate for the MPhil in Marxist philosophy at Huazhong University of Science and Technology in Wuhan. He was an adjunct professor of history at MassBay Community College in Wellesley, MA, and holds a BA in philosophy, history, and political science from the University of San Diego. Christopher helped start a wildcat strike at Insomnia Cookies in Boston, and is a member of the IWW. Erik was a key organizer in two groundbreaking union campaigns in the US fast-food industry as a rank-and-file worker, and has conducted organizer trainings in more than twenty countries for the IWW and other unions. He recently studied fast-food and retail organizing as a practitioner fellow at the Kalmanovitz Initiative for Labor and the Working Poor. Erik contributes to Labor Notes, In These Times, and Counterpunch as a freelance labor journalist, and is a contributor and member of the editorial board of WorkingUSA. He currently lives and works in Guangzhou, China, where he teaches English at Sun Yat-Sen University. If you’d like to apply for one of our writing and/or translation grants, our next deadline is January 15, 2015, midnight EST (late applications will not be accepted). The IAS currently awards $4,000 annually, typically in grants of $300 to $1,000, to four to eight proposals. You can apply online at http://anarchiststudies.org/grants-for-radical-writers-and-translators/. The IAS prioritizes work from people who are reflecting on struggles and organizing in which they participate. We welcome applications from people who do not think of themselves as writers and who are not rooted in university contexts. We especially encourage women, queer people, people of color, working-class people, people with disabilities, grassroots activists, and others often excluded from scholarly life to apply. For more information on our grants and applications, including an FAQ, follow the link above, and feel free to email us with any further questions. 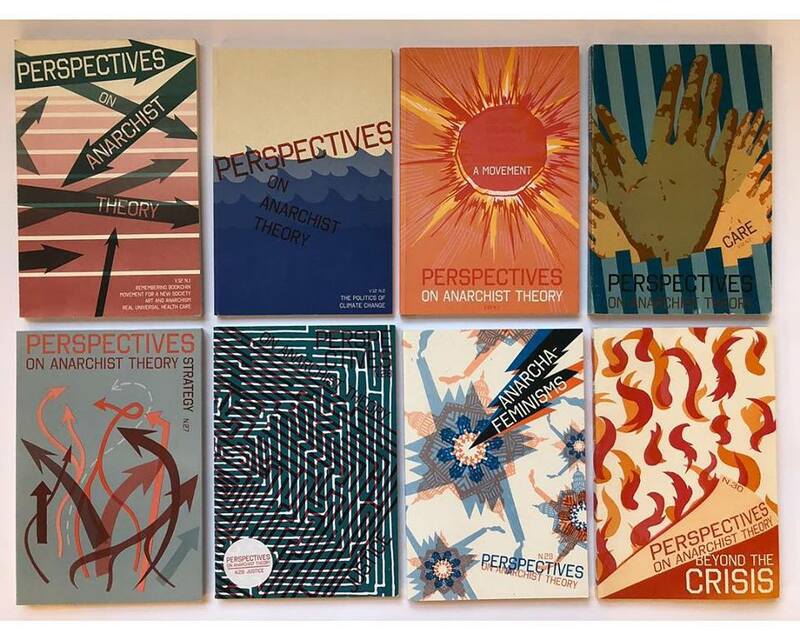 The new issue of Perspectives on Anarchist Theory will soon be in print, thanks to our good friends at Eberhardt Press in Portland, OR. It marks the twenty-seventh issue of the IAS journal, published in various formats for over the last seventeen years. The first issue came out in spring 1997. 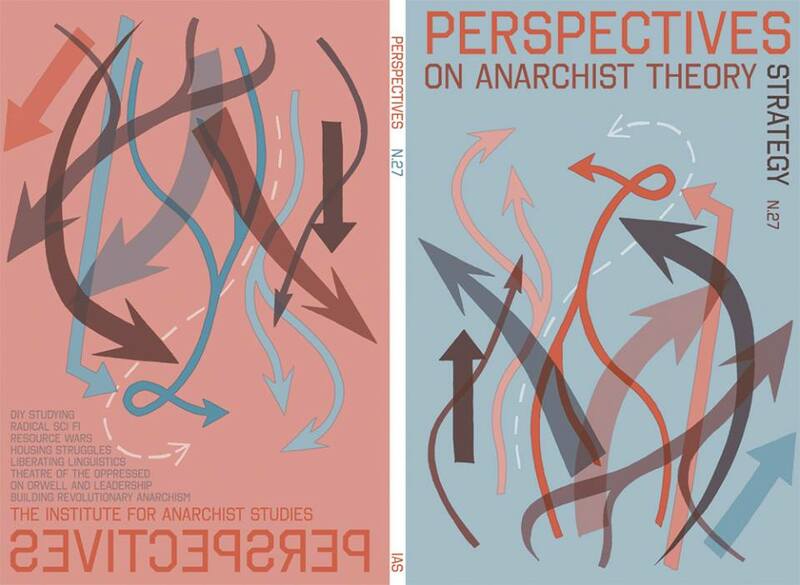 You can order copies of this and past issues via our Web site at http://anarchiststudies.org/perspectives/ or from our equally good friends at AK Press, http://www.akpress.org/perspectivesonanarchisttheorymagazine.html. 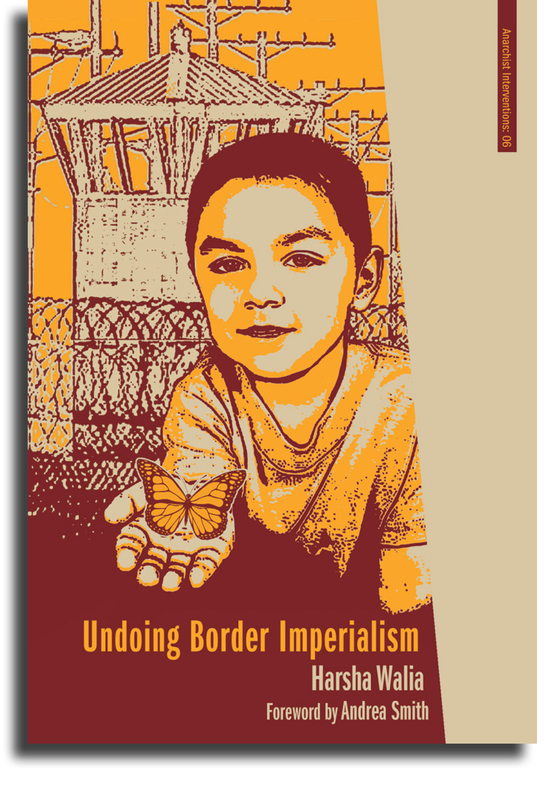 The latest in our growing series of books—Undoing Border Imperialism, by Harsha Walia—is not only in print; it’s already in its second printing! It is part of the Anarchist Interventions series, a collaborative project with our friends at AK Press and Justseeds Artists’ Cooperative, and this title features a wide variety of radical voices and provocative insights from a contemporary movement. As with all our other books, at least 50 percent of the net sales from the Anarchist Interventions series are donated to the IAS, thanks to the generosity of all the authors. To order Undoing Border Imperialism and all the titles in our series, see http://anarchiststudies.org/anarchist-interventions-book-series/. Below you’ll find a description, as enticement! Undoing Border Imperialism by Harsha Walia combines academic discourse, lived experiences of displacement, and movement-based practices into an exciting new book. By reframing immigrant rights movements within a transnational systemic analysis of capitalism, labor exploitation, settler colonialism, state building, and racialized empire, it provides the alternative conceptual frameworks of border imperialism and decolonization to understand the freedom to stay, move, and return as essential for self-determination. Drawing on the author’s experiences in No One Is Illegal and the recognition that social movements themselves produce critical theory, this work also offers relevant insights for all organizers on effective strategies to overcome the barriers and borders within movements in order to cultivate fierce, loving, and sustainable communities of resistance striving toward liberation. Several of the chapters delve into the challenges of building broad-based alliances while maintaining radical political principles, fostering antioppression leadership while opposing hierarchies, and affecting tangible change while prefiguring transformation. The author grounds this book in collective vision, from a roundtable on movement building with No One Is Illegal organizers to interspersed narratives from dozens of bold activists and writers of color from across North America. Contributors include Yogi Acharya, Carmen Aguirre, Tara Atluri, Annie Banks, Mel Bazil, Nazila Bettache, Adil Charkaoui, Yen Chu, Karen Cocq, Jessica Danforth, Ruby Smith Díaz, Nassim Elbardouh, Craig Fortier, Harjap Grewal, Mostafa Henaway, Freda Huson, Syed Khalid Hussan, Jane Kirby, Aylwin Lo, Karla Lottini, Alex Mah, Robyn Maynard, Graciela Flores Mendez, Cecily Nicholson, Leah Lakshmi Piepzna-Samarasinha, Toghestiy, Sozan Savehilaghi, Mac Scott, Lily Shinde, and Rafeef Ziadah. Thanks to the beautiful design work of Morgan Buck with Antumbra Design (http://antumbradesign.org/), we have a much-improved Web site. Like many Web sites, it’s still a work in progress, but the basics are in place, and we’re really excited about the results. You can now donate to the IAS, fill out a grant application, and sign up for our occasional e-updates online. You can also keep up with our latest projects, including our journal and book series, both of which you can also order directly from AK Press via our Web site. We’ve included downloadable PDFs of the five titles in our Lexicon pamphlet series for you to print out and distribute. And you can look through our list of Mutual Aid speakers and then bring one (or several!) to your school, organization, or collective. We also hope to include more and more online content, so if you have thoughtful antiauthoritarian scholarship to share, send it our way – from translations and written works to audio and video pieces. Head over to our Web site and take a peek: http://anarchiststudies.org/. You can also still find us on Facebook at http://www.facebook.com/InstituteForAnarchistStudies. On February 18 and 19, 2014, in Portland, OR, the IAS participated with nine other local groups, including the Portland Central America Solidarity Committee, PCC’s Q Club, and the Hella 503 Collective, to bring three Chilean anarchists to town. Two big public events were held: a meeting between Melissa from Chile and local feminist organizers was organized, and a private meeting with all three comrades and local organizers was arranged. The two big public events were held at Portland State University and Portland Community College. It was great having them here! The IAS was also proud to sponsor a week-long series of events along with twenty-five other collectives and organizations from throughout Los Angeles as part of the Struggling to Win Chilean anarchist tour from February 24 to March 2, 2014. The collaborative efforts with Indymedia On Air Radio, Radio Vocez de Libertad, Radio Insurgencia Femenina, student groups, educators, and comrades for the Free Association of Anarchists, Corazon del Pueblo, the IWW, Black Rose, the Garment Workers’ Center, CIELO Galleries, the Revolutionary Autonomous Communities, Pacoima’s El Hormiguero, and others consisted of formal and informal presentations, small discussions on differences and similarities, pictures/video presentations, literature swapping, music, food sharing, and most important, conviviality with our Chilean anarchist comrades. Exchanges of this sort are only part of the IAS mission to foster the development of anarchist ideas and work with people from around the world. The IAS grant-giving program is entirely funded by the generous donations of people and collectives like you. And while we try to cover the print costs of our journal and book series through sales, we usually fall far short. Your support for these and other IAS projects allows us to help grow as well as nurture anarchist debate and discourse around the world. Please consider making a donation as small or large as you like! Every little bit helps—from $20 to $200 to $2,000. It’s easier than ever to donate to the IAS online. Visit our “Support the IAS” page at http://anarchiststudies.org/support-the-ias/, where through PayPal along with your credit or debit card, you can sign up as a monthly sustainer for as little as $5 to whatever larger amount fits your budget, or give the IAS an annual or one-time donation. If you prefer to send cash and/or checks or money orders, please email us; we’re in the midst of relocating our snail-mail address. Other ways to contribute financially are by hosting one of the many speakers on the Mutual Aid Speakers’ List at an event in your town and donating the honorarium to the IAS. For a list of our speakers, see http://anarchiststudies.org/mutual-aid-host-an-anarchist-speaker/. You can also buy a bunch of copies of our Anarchist Interventions books, which as mentioned above, return at least 50 percent and often more of the royalties back to the IAS, to in turn support the work of other radical writers and translators globally. Thanks in advance for your generous contributions! SIGN UP FOR OUR OCCASIONAL E-NEWSLETTER, AND SHARE THIS ONE! If you want to be sure to get the latest news on the IAS and its community of radical writers and translators, head over to the IAS Web site (http://anarchiststudies.org/) to sign yourself up. And encourage your friends, comrades, and acquaintances to do likewise. And definitely feel free to share or repost this e-newsletter far and wide.